Dubai Marina And Jlt Skyscrapers Aerial Skyline During Sunset Timelapse. 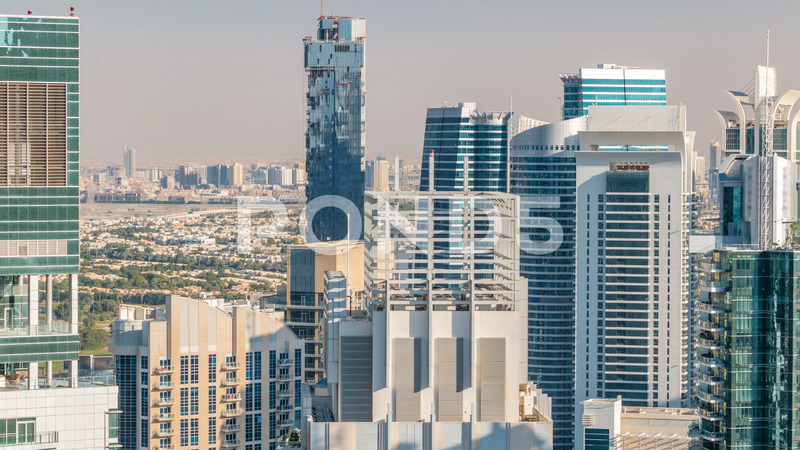 Description: Dubai marina and JLT skyscrapers aerial skyline during sunset timelapse. Great perspective of multiple tallest towers. Sunlight over buildings. United Arab Emirates.